Mild-mannered communications director (for the Archdiocese of Cincinnati) by day, mystery writer by night, Dan Andriacco discusses Sherlock Holmes, the mystery genre, and his own Sebastian McCabe/Jeff Cody series. 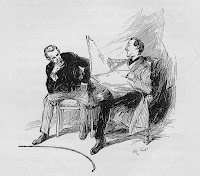 Deftly planned puzzles solved by engaging characters, and written with a light touch, the McCabe/Cody (or Cody/McCabe) books track the adventures of two brothers-in-law who find themselves–through absolutely no fault of their own–drawn into solving mysteries with a Sherlockian connection. Dr. Andriacco’s newest book, Holmes Sweet Holmes, officially releases today. No Vatican cameos here. Perhaps I should consult Dr.Dan…. How did you first meet Sherlock Holmes? I write about this in the first chapter of Baker Street Beat. 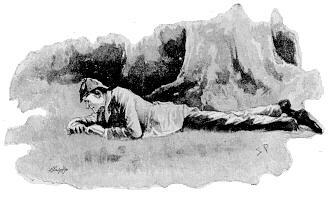 Briefly, a boyhood friend told me about Sherlock Holmes and we used to act out the stories before I ever read them. I think I was about nine when I read The Boys’ Sherlock Holmes. I was in the seventh grade when I bought my own copy of the Doubleday Complete. My image of Holmes was set in my mind long before I saw the old Basil Rathbone movies, which was my first screen image of Holmes. So many Sherlockians who write about Sherlock Holmes choose to write pastiche. Your mystery series, while it references different aspects of Holmes and his fans, features original characters who aren’t opening a tin dispatch box found in the rubble of Cox and Co. Why did you choose a more non-traditional route? From a very young age I wanted to be a mystery writer. I never said to myself that I wanted to be a Sherlock Holmes writer. But being steeped in Holmes, it was natural to me that when I started writing mystery novels my main characters would be Sherlockians as well. Your main characters, Sebastian McCabe, Jeff Cody, and Lynda Teal are very well-drawn. Did you base any of them on actual people? I’ve never based any main character entirely on a real person, but I think all three of them either embody some aspect of me or of my ideal self. I would love to work magic tricks and speak five languages like Sebastian McCabe. Lynda and I share the same favorite brand of bourbon and a few other traits. I thought Jeff was a comic exaggeration of me, but my wife said, “No, you’re just like that!” None of them physically resembles anybody I know. You’ve also written some well-received traditional pastiches. Did writing, say, “The Peculiar Persecution of John Vincent Harden” differ from writing with your own characters? How? Writing a pastiche that aims to imitate the voice of the original writer is very different from finding one’s own voice. In writing “Harden,” I tried to replicate the voice of Dr. Watson that we know so well, but also the feel of the Canonical stories in a broader sense. That’s not so easy. In fact, I think many Sherlockians would agree with me that some of the Canonical stories don’t even read like Canonical stories! Do you read much Sherlock Holmes pastiche? If not, why not. If so, do you have any favorite books, stories, authors, or themes? Any you tend to avoid? I don’t read a lot of pastiches these days because there are just too many to keep up with. In general, the closer a writer comes to the Watson voice and the feel of the original stories (see above) the better I like it. And yet, paradoxically, I very much enjoyed the Tracy Revels books and Amy Thomas’s The Detective and the Woman, both of which don’t fit that pattern. And, since you’ve written traditional mysteries, and have reviewed them for the Cincinnati Post, which are some of your favorite authors and/or books? I’m always reading a book and it’s almost always a mystery, so it’s hard for me to name just a few. I love the writers of what’s been called the Golden Age of detective stories – Agatha Christie, Ellery Queen, Rex Stout, John Dickson Carr, Dashiell Hammett, Dorothy L. Sayers, Erle Stanley Gardner, etc. I’ve been re-reading some of them lately. A lot of really good writers have died in the last year or two, including Stuart B. Kaminsky. I especially liked his Russian novels. Among writers still at work, I enjoy John Grisham, Elizabeth Peters, Douglas Preston & Lincoln Child, Martin Cruz Smith, Michael Connelly, and Kathleen Kaska. Those are just a few. You’ve taught classes in mystery writing. What do you think beginning writers should pay the most attention to? The beginning and the end. Mickey Spillane once said, “The first chapter sells this book, the last chapter sells the next one.” I think that’s great advice. What, for you, is the most difficult part of writing a mystery? Plotting drives me nuts. Sometimes I have to give up on a great idea because it’s just too unrealistic for anybody to suspend disbelief. Unfortunately, many writers don’t seem to do that. When it comes to the actual writing, the first sentence, paragraph, and page are usually the hardest for me. I think (and hope) my endings have all been rather strong. I seem to pick up momentum and write faster and maybe better at the end. You’re a member of the Tankerville Club, the Cincinnati scion society. What are some of the benefits people might experience should they join a society in their area? It’s always good to gather with other people over a shared interest. I think it increases the pleasure of whatever that interest is. You may disagree on politics, religion, and your favorite sports with other members, but that’s trivial compared to your common love of Holmes. The world’s greatest publisher, Steve Emecz of MX Publishing, thinks that two books a year would be a good pace. I can easily do that. My third McCabe-Cody book, The 1895 Murder, is already written for Nov. 1 publication. I’ve also written a short story from Lynda’s point of view and no McCabe in sight. That will be a kind of bonus at the end of 1895. I’m two-thirds of the way through a novella for a contest sponsored by the Wolfe Pack, the association for Nero Wolfe fans. The fourth McCabe-Cody novel will take place in London and we’re going there in October. I also know in detail what the fifth and sixth McCabe-Cody books will be and I have more general ideas for several more. I can’t wait to write them! Great interview, and congratulations, Dan, on the release of your new book. Your Sherlockian background is impressive. I’m always looking for a good Holmes pastiche. “The Peculiar Persecution of John Vincent Harden,” is something I’d like to read. And, I’m looking forward to your next McCabe/Cody mystery, especially since it’s set in London. Enjoy the research!